Rosie Robles Villegas, our dedicated office leader at Arizona Ear Center, hails from Northern California. 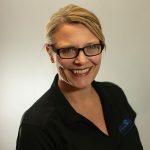 Born in Oakland and raised in San Jose, Calif., Villegas moved from Fremont, Calif. to Peoria, Ariz. in 2000 having completed a A.A. in Dental Assisting from San Jose City College and a B.S. in Health Science with a concentration in Healthcare Management from San Jose State University. In 2013, Villegas received a Master’s certificate in Project Management from Villanova University. Early in her career, Villegas worked as a dental hygiene assistant and then as an dental office manager. She’s also worked as center administrator, and director of patient services and training manager in women’s health with Planned Parenthood. 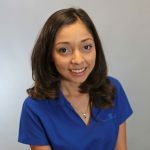 Since joining the Arizona Ear Center team in May 2014, Villegas has enjoyed learning the industry while combining administrative experience with patient interaction. “I am finding that there is more to this field than I thought was possible. I especially find it intriguing the technology and the options that are available to patients. It’s special to work with a group of such talented individuals,” she said. Villegas is happily married, and the proud mother of two daughters and two beautiful grandsons.